We arrange free medical camps in remote indigenous areas to provide essential medical supplies, and health service facilities. We also publish advocacy and awareness materials, such as posters and leaflets, in different indigenous languages and distribute these throughout marginalized communities, and have introduced basic hygiene awareness activities into primary education for indigenous children. With support from Action Aid Bangladesh, our project, ‘Development Initiatives for the Group of Northeastern Indigenous Talents of Youth (DIGNITY)’, saw the introduction of a health awareness program, which focused on female and youth health-related issues. Under this program, we delivered workshops on reproductive health to over 150 women, and provided traditional birth attendance training with the aim of reducing the mortality rates of both mother and infant during childbirth in the indigenous community. There is a high rate of migration between Bangladesh and India, particularly in Sylhet Division, and consequently there is a disproportionately high risk of HIV infection. ECDO is the only organization to work on HIV/AIDS issues exclusively for indigenous communities in this region. As part of our ongoing efforts, we organize regular female group discussions in different indigenous communities, and distribute educational materials about methods of HIV protection. 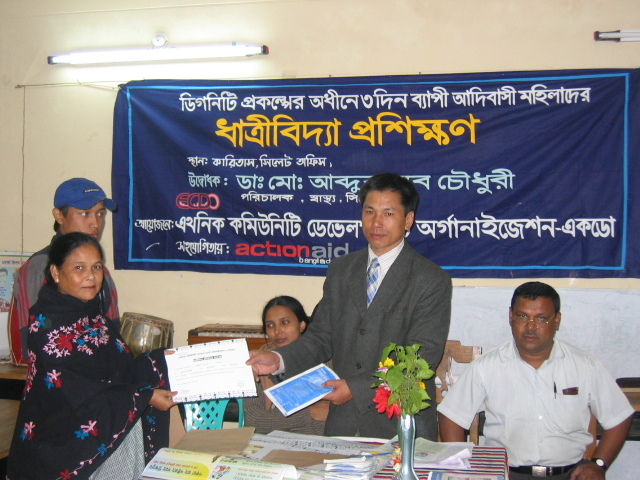 In 2008, with support from HIV AIDS STD Alliance of Bangladesh, Ministry of Health and Family Welfare, Save the Children USA and Global Fund for AIDS Tuberculosis and Malaria, we implemented our Life Skills Education (LSE) project. The project aimed to build awareness, and provide education about HIV/AIDS through community training, educational meetings, pop-up health corners and awareness activities. ECDO has been in collaboration with NGO Forum for Drinking Water Supply and Sanitation to improve water and sanitation systems in Sylhet Division since 2007. Our projects aim to improve the quality of life of people by introducing sustained hygiene practices and improve water supply and sanitation facilities to increase the access of the poor, particularly disadvantaged indigenous people. As part of this, we helped form Ward Water and Sanitation (WatSan) Committees in order to disseminate information on water and sanitation issues, and safe hygiene practices. 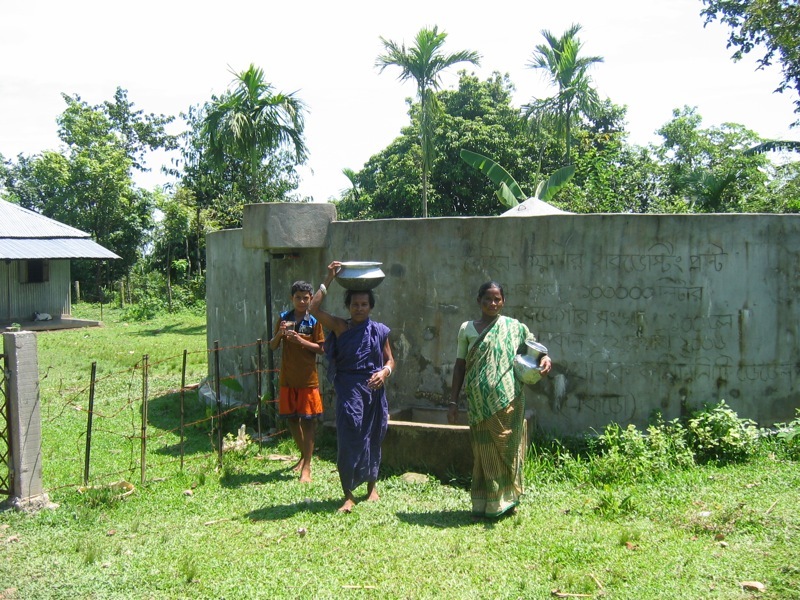 Additionally, through the generosity of Mr. John Grandinetti, ECDO launched a Rainwater Harvesting Plant (RWHP) project in Jaintapur and Sylhet Sadar upazila, among the hilly and plain land indigenous community areas, where people have long suffered from a lack of pure drinking water, and the rate of arsenic contamination is incredibly high. We invested in five RWHPs, and set up RWHP management and operation committees to ensure communities became self-sufficient in maintaining their RWHP. This alone benefited 500 people, representing over 100 families.